Receive a deposit for items that will be billed at a later date. Applying a deposit to an Invoice. When a customer has a deposit entered in the system. The deposit screen will display when you invoice a ticket. That amount will be applied to that invoice. 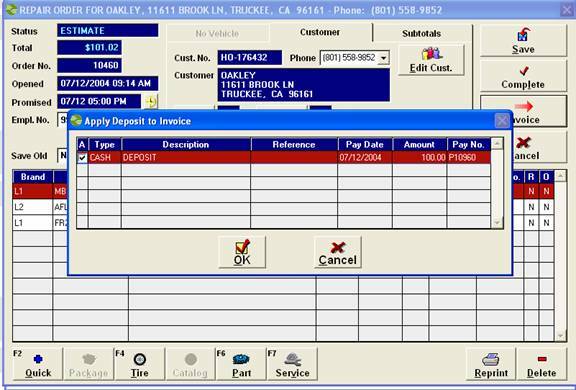 If there is a remaining balance select the pay type and process. 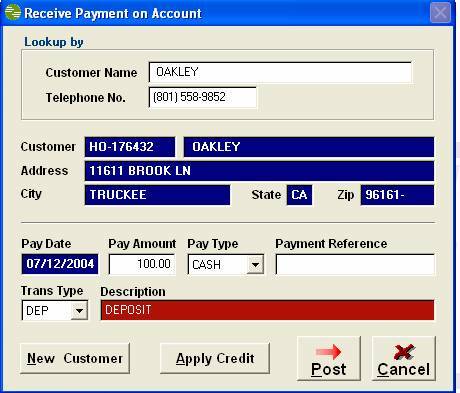 If you do not want to apply the deposit to that invoice click cancel and proceed as normal.